What is a Cuddle Party™? Cuddle Parties are affectionate play events for adults, designed to provide a space to explore and enjoy touch, nurturing and communication without it becoming sexualized. Some of us remember that floor full of puppy-piled kids camped out in front of the TV when we were young. Somewhere between age 13 and now, we stopped getting our Recommended Daily Allowance of Welcomed Touch. Cuddle Parties seek to change that for adults in a way that's conscious, healthy, fun and responsible. The evening starts with an opening circle where the facilitator - Ms. Lavie - explains the Rules of Cuddling. The rules establish guidelines for interacting and create the safety needed for people to feel comfortable cuddling with people they have just met. Following the circle, participants have approximately 2 hours to converse, try out thier new communication skills and offer and recieve nurturing/non-sexual touch. 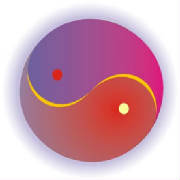 The atmousphere is relaxed, light-hearted, respectful and it's all about choice. Participants are empowered to ask for what they want, say no to what they don't want, and create an experience that reflects thier individual intentions. Details: Details about how to dress, what to bring, etc. will be provided in the confirmation letter that is sent to one who registers. Advanced registration is required in order to keep the genders balanced. For more information: Contact Us or Call: 612-396-0226 to reserve your space. 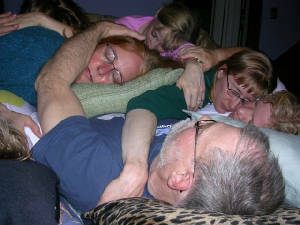 For more information on Cuddle Parties in other cities visit www.cuddleparty.com.